Our passengers are people who want to have an absolutely flawless service but conscious to have access to a very privileged way to earn a lot of time for them and their businesses. They are concerned about the public interest and "want to give back to society what they have received from it". The Classic Offer is an aircraft offer that only includes the aircraft, the booked flights and all services directly related to the mission. It does not include client donation for charitable works. However, choosing Jet Solidaire is already supporting our caring approach! enter into dialogue with Jet Solidaire on the fight against poverty and exclusion. 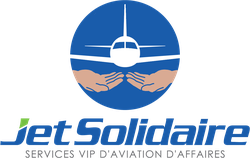 In addition, Jet Solidaire will propose to associate freely with different projects contributing to fight against poverty and exclusion. Do you want to fly in business aircraft at unbeatable prices? Come and discover our empty legs.